The Escapist Pets on Parade! 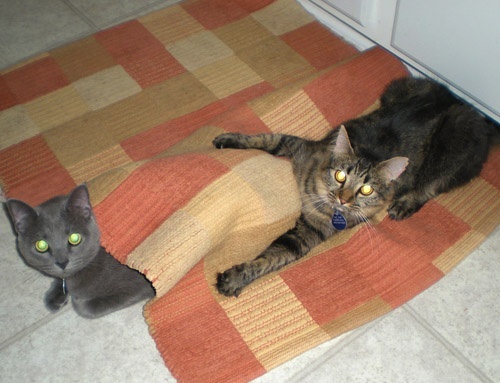 Pets: Irving (a male Russian blue) and Maggie (a female tabby). Irving enjoys knocking bottles off of shelves almost as much as he likes sitting on Maggie. Maggie doesn't seem to mind, she just chases imaginary bugs for hours. Their humans: trukjin and Myan.